The Wilderness is a vast area full of opportunities for PVMers, PVPers, and skillers. 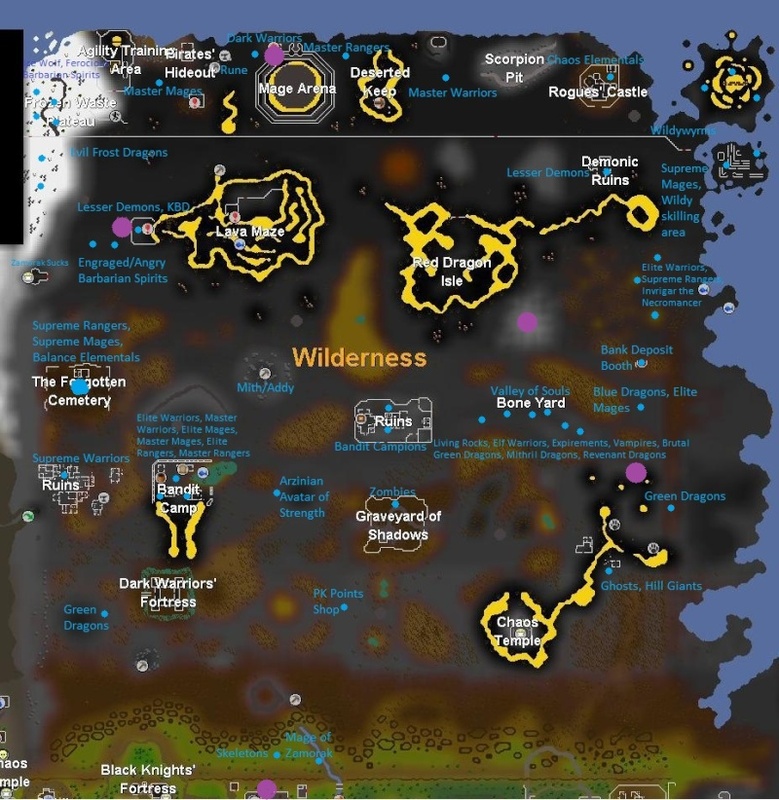 Here is a map of the wilderness to help you find your slayer task or somewhere to train. You may notice that there is a skilling area on the map. The skilling area has multiple magic trees and the only fishing place for cave morays. 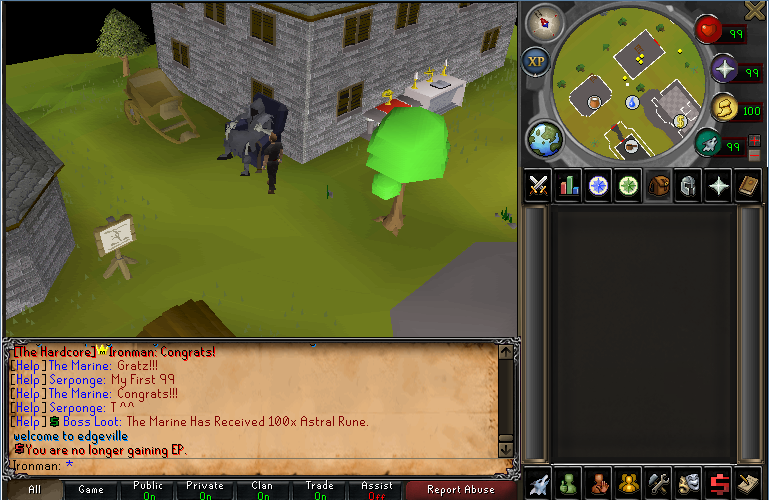 The Wilderness is also the only place to mine runite ore. Developers of Project Divine are working on a system to give an XP boost to those that opt to dangerously train in the Wilderness. 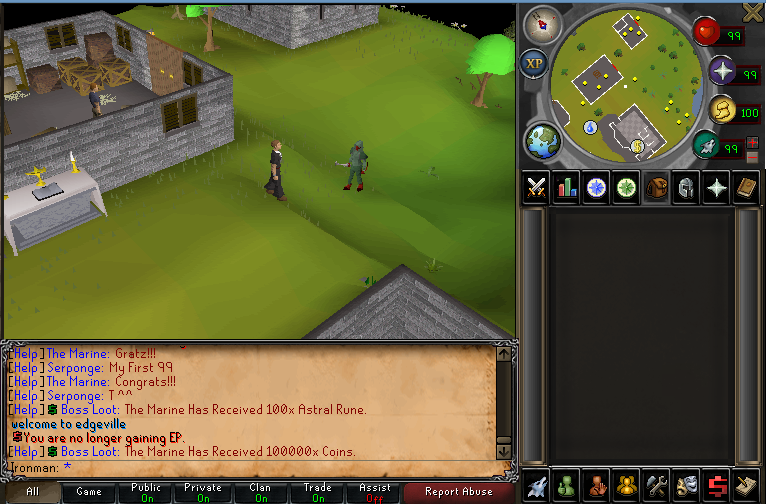 The wilderness is most know for PVP. There are rewards for you accomplishments of beheading other players. 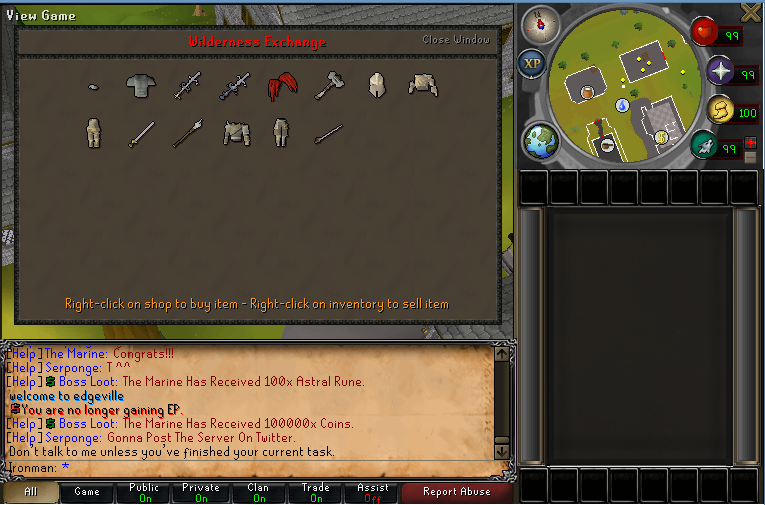 There is a PK points reward shop in the Wilderness and also one in Edgeville, shown below. *Please note that if you are in the wilderness and you announce it, I will probably come kill you. Supremely Helpfull! Thanks alot Iron!